As a leader Mere surrounds herself with people from all walks of life. Mere utilises their skills to accelerate Māori aspirations to lessen the health disparities among Māori. She sees that each person she meets has potential and providing them with the right environment they would grow and thrive to become ngā māreikura ō āpōpō (leaders of tomorrow). I first met Mere when she presented at a conference in Rotorua. She was speaking about utilising basic Māori principles and concepts to enhance nursing practice. This was cutting edge kōrero (talk). Mere used the tipuna’s (ancestor’s) voice to introduce the framework as the foundations and strength of the nursing programmes she established at Waiariki Institute of Technology. Her kōrero reaffirmed and endorsed my being and my practice as a Māori nurse. She inspired my thoughts to go forth and be a Māori nurse of tomorrow. In the nursing world where I worked there weren’t many Māori nurses like Mere. I was going to make her my best friend forever. She was an executive member of Te Kaunihera ō ngā Neehi Māori ō Aotearoa (National Council of Māori Nurses of Aotearoa), so I became a member. 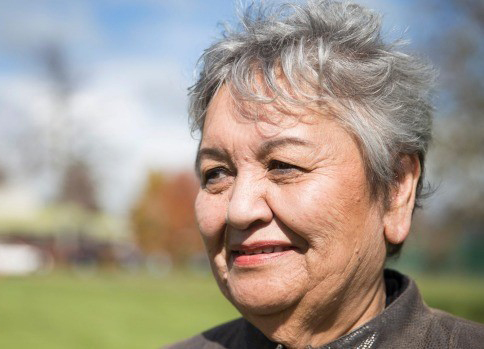 She became the president of Te Kaunihera and led it into the new millennium with the development of the first indigenous Māori nursing programme. As the CEO of Te Rūnanga o Kirikiriroa I had the opportunity to work for and alongside Mere for about three years. I’ve seen Mere in action in the board room, she is fierce, with a subtle approach to subdue her adversary, and with sheer grit her opponent is none the wiser of their demised intent. Mere is a believer, that if you live on the whenua of others, you respect the tikanga (lore) of that whenua (land). That respect is shown as being on Tainui whenua. The staff of the Rūnanga practiced Tainuitanga within the workplace, by being visible in the community and most of all applying Tainui values and practices. When I left the Rūnanga, the taonga (gift) I took from Mere was aroha ki te tāngata (a heart for the people). There is a phrase that Mere uses when she gives a kōrero to her new staff, ‘meet the people, greet the people and feed the people’. This is the total package of who Mere is.